Sometimes the wonder of the world we move through hits you between the eyes. Last week I had to take M to a hospital appointment. She spent half her life very ill from Ulcerative Colitis, until 10 years ago when for no apparent reason, all symptoms disappeared. However because of all the steroids she took there have been concerns about the effect on her bone density. As it happens however, she seems to be doing OK.
We are all passing through, and many are walking a much harder path than us at the moment. We have no right to demand days like today- all we can do is to be grateful when they come. 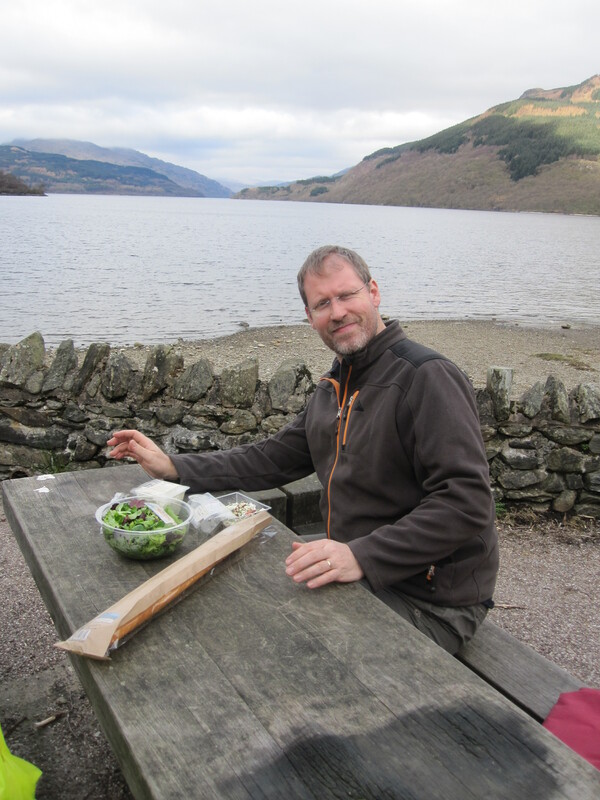 On the way back home, we stopped for a picnic next to Loch Lomond. Green salad and French bread. Me and my wife, with the smell of Spring in the air. 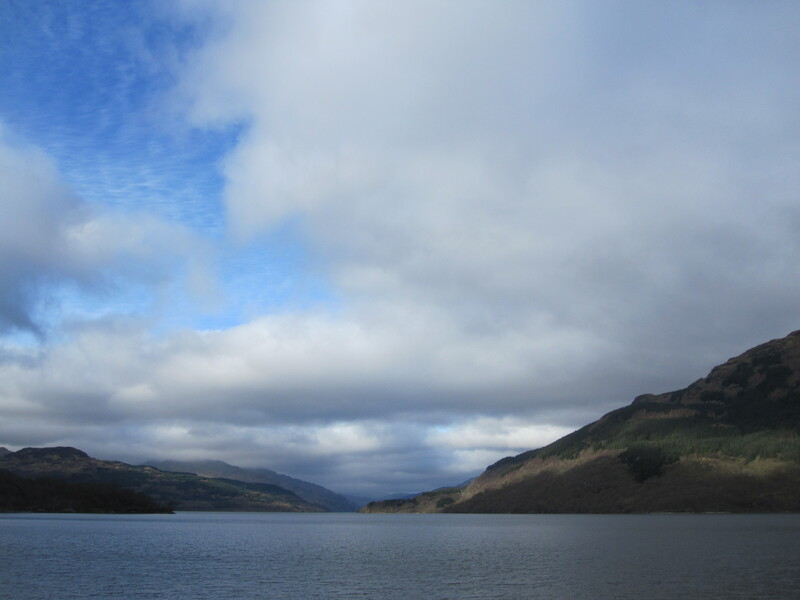 This entry was posted in Uncategorized and tagged loch lomond, Michaela by Chris Goan. Bookmark the permalink. Wow (the view- not you! Although you are made in God’s image….). And what a lovely day. Many of us prayed really hard for Michaela so it’s great to hear that her healing miracle continues.